Mm. I'm home. The home where it's common to have a dog on your lap at any given moment (like right now), where I can eat my mom's spaghetti for every meal if I choose to, or stay up all night reading in my own room. But...school became home in a way too. I find myself referring to it as that now. And to be honest, at the beginning I never thought I would feel that way. Being a naturally introverted person (Very introverted. Have you taken the MBTI test? I got 100% introverted. Yeah.) , adjusting to the college setting was really quite difficult for me. But it just...happened. Gradually, I had places I could call my own, people I were comfortable with. It's nice to have more than one place to call home. What makes home for you? Do you have multiple homes? 1. In a small bowl combine cinnamon and 1/3 cup sugar, set aside. 3. Divide dough in half. Place each half between two pieces of wax paper, and roll into a 12x8 inch rectangles. 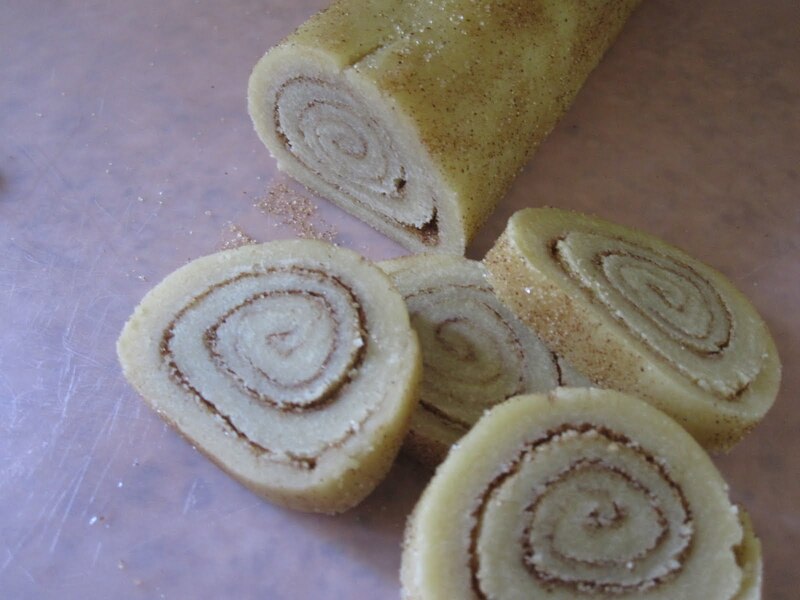 Brush each with melted butter, and sprinkle two tablespoons of cinnamon sugar on each. Starting with one of the short sides, and using the wax paper to lift and guide, start rolling up your dough in a spiral. Moisten edges and pinch to seal. Repeat with other dough. 4. Roll each...roll in remaining cinnamon sugar. Cover them and chill for 4 to 24 hours. 5. Cut rolls into 1/4 inch slices. Place slices 1 inch apart on an ungreased cookie sheet. Bake at 375 for 8 to 10 minutes until edges are firm.